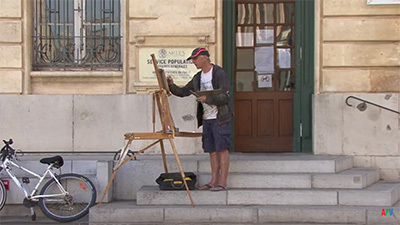 Once again John shows us how to simplify and convey an impression of a scene, bringing light and life to his paintings. 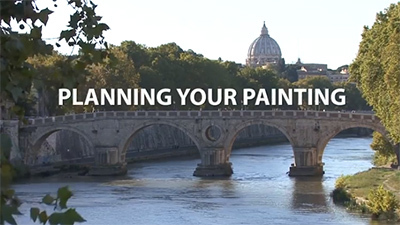 He paints a variety of his favourite subjects in watercolour – interiors in a beautiful stately home and coastal scenes in Constable country, which include boats, buildings, figures and harbours. 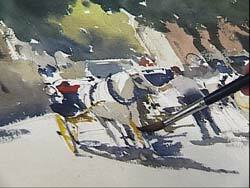 He also works in his studio, producing a wonderful painting of horses and carriages in Seville. 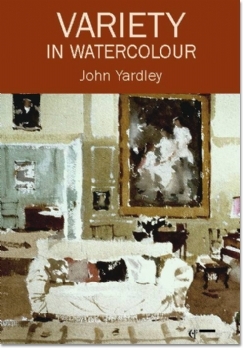 John Yardley, a member of the Royal Institute of Painters in Water Colours, is a highly gifted, intuitive artist, with the ability to simplify his subjects and bring them to life. He has a particular talent for conveying the effects of light and creates his bold and telling images with confident and fluent brushwork. 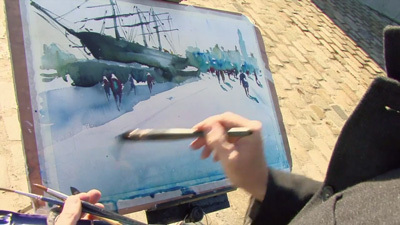 In this, his third video, he paints five watercolours - two interiors, two estuary scenes on location and one studio demonstration from photographs. The subject of both interiors is the drawing room of a stately home and he tackles this scene from different viewpoints. After sketching in the main lines, he begins applying paint to various parts of the paper. In this way he keeps all parts of the painting moving forward together with boldly applied washes in which the brush strokes follow the lines of perspective. The resulting impression is brilliant. The second interior features a grand piano against a Georgian window and his treatment of light and shade bring the scene to sparkling life. For his first demonstration on location, John chooses the Tide Mill at Woodbridge in Constable Country. It is fascinating and instructive to see how he simplifies the mass of detail in this busy scene and conveys it convincingly and economically. Malden on the Blackwater River comes next. 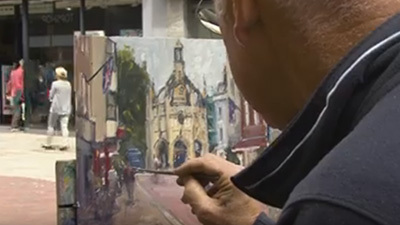 This popular and attractive scene is even busier and more complex than Woodbridge, but John produces a painting that really captures the atmosphere of the place. His final demonstration, working from photographs, is in the studio and the result is a wonderful painting of horses and carriages in Seville. Throughout John comments helpfully but with typical modesty on the progress of his work and we see how his fluent brushwork brings each subject to a thrilling conclusion. 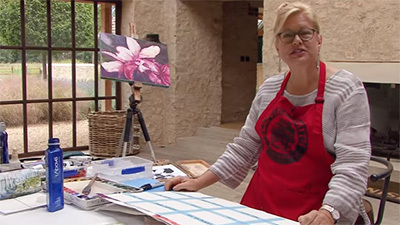 Aspiring watercolourists will learn much from this inspiring video and will enjoy every minute of the process. 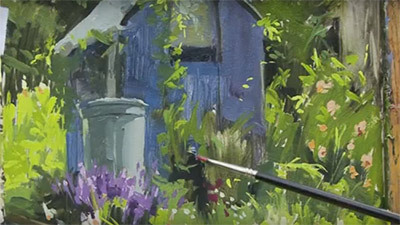 John Yardley includes an inspiring choice of subjects in his new video, Variety in Watercolour and he demonstrates, too, with his distinctive, sensitive touch and ability to select, just how good watercolour is for capturing the essence of a scene and a feeling of light and atmosphere. "Whatever I am painting I tend to paint as the spirit moves me," he says. "invariably I start with the background, but if this leads to another passage, which might be in the foreground, then I will continue with that, I dodge about a bit - it keeps the painting on the move and maintains the interest. " 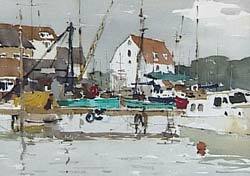 Working directly from the subject, on 140lb (300gsm) Arches paper, John paints two interiors, of the same room from different positions, and two coastal scenes in Suffolk, which include boats, buildings, figures and harbours. Then, in his studio, he completes a lively painting of horses and carriages in Seville, this painted from photographic reference and his memory of the scene. The film is a joy to watch. Here is an artist who has a wonderful way of knowing just what to include and where to leave the whites, and he is refreshingly frank with his thoughts and feelings. I love this video! It is not so much an instructional presentation as it is a look over the shoulder of a real watercolor master. John Yardley is low key, and provides a measured, but insightful commentary on the development of the excellent mix of works in the video. I can recommend this without reservation. 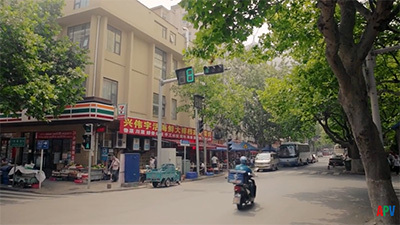 It is presented in full screen not wide screen format.